August 1, 2018 – Tom Scott ’78, co-chair of DU’s “Raising Our Game” campaign, today announced that as of July 15, 2018, 163 brothers have made pledges totaling $1.6 million. Of this, $1.1 million has been collected, which has allowed us to make immediate improvements to the house, especially on the first floor. Phase 1 renovations and major upgrades have a positive impact on how the undergraduates live, study and thrive in the House, CDUA president Mark Kamon ’75 said. 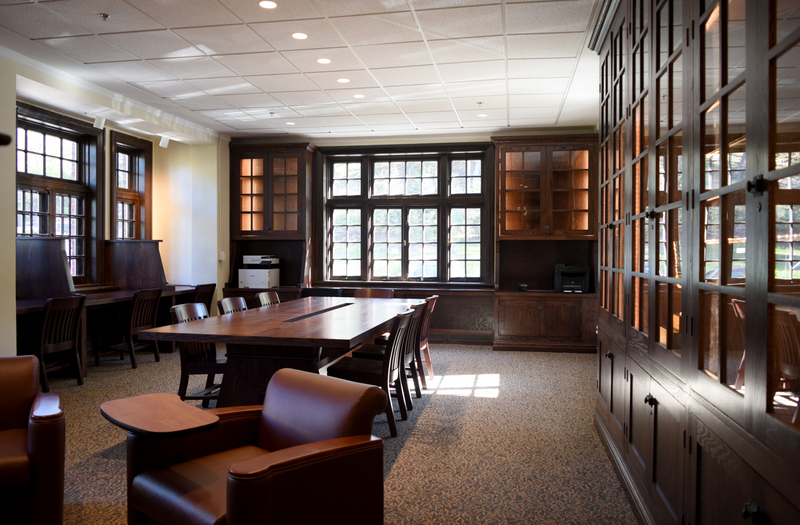 The newly renovated Library has made DU “the place to study” on campus. You will find many brothers there at all hours of the day! The historic displays in the new library cabinets provide a glimpse into the rich history of DU at Cornell.